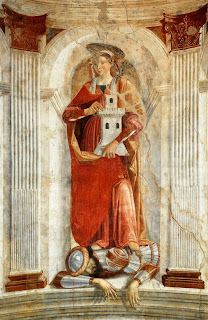 Today is the feast day for the Christian saint and martyr revered as Saint Barbara. 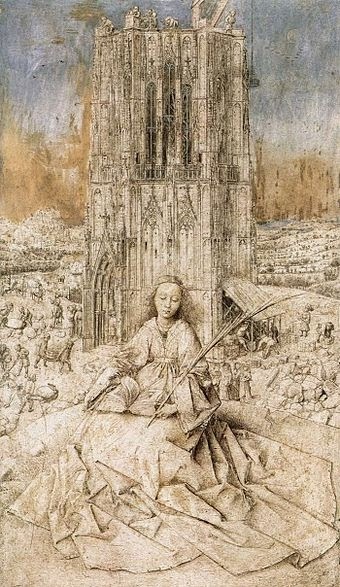 Although references to her make their earliest appearances in the seventh century, Barbara's martyrdom was dated to the late third or early fourth century. The site of her martyrdom is also disputed--she is variously said to have lived in the ancient city of Nicomedia (Turkey) or Heliopolis (Lebanon). 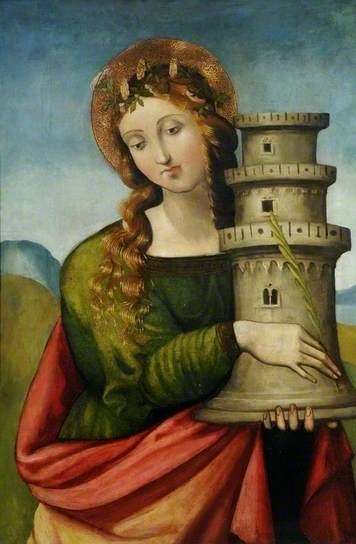 But the legends agree in the broad outlines of her story: she was the daughter of Dioscorus, a wealthy man who kept her enclosed in a tower. Although his aim was to protect her from the dangers of the outside world, she somehow converted to Christianity. Barbara not only rejected the husband her father had commanded she marry, but she revealed to him her new faith. 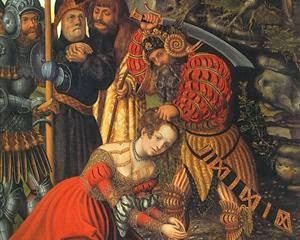 Dragged in front of the Roman prefect, Martinianus, Barbara was tortured, presumably so that she would renounce her faith, and then condemned to death by beheading--a sentence to be carried out by her father. Dioscorus did strike off his daughter's head--but he was struck by lightning afterwards. Barbara's tomb became a place where miracles occurred--those who prayed at her grave found consolation and, if they were ill, their health was restored. There is a great deal of very beautiful art that depicts Saint Barbara--you're spoiled for choice when it comes to paintings and sculptures, really. she's standing on her father's body!